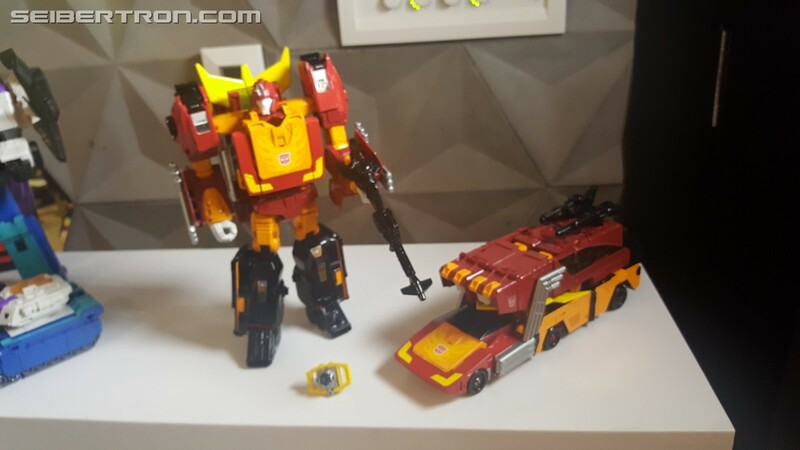 We return to San Diego Comic Con 2017, where site owner Seibertron is providing us images of the updated display area at the Hasbro booth featuring new toyline Power of the Primes and its stars Jazz, Leader Rodimus Prime with Trailer (where you put a deluxe Hot rod into a Rodimus Prime trailer suit), Beachcomber (with Titan Master integration), Pretender Skullgrin in some new form homaging pretenders along with a Power Master, Dreadwind, Darkwing, both sporting Combiner Wars parts, and a new chunky voyager Starscream! There will be more images throughout the weekend, so expect the full Seibertron.com treatment as the event continues, with panel coverage on Thursday, Friday and Saturday, and follow-ups with official images and more! 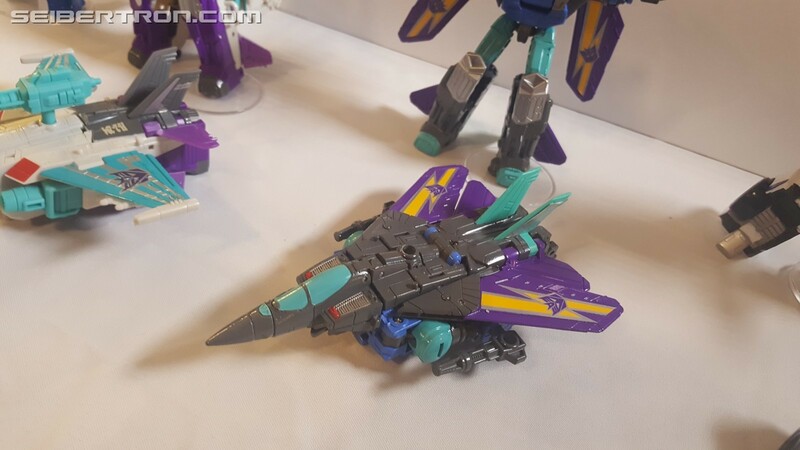 UPDATED: Better Darkwing and Dreadwind, plus Starscream images with correct transformation, plus confirmation that Hot Rod is a Deluxe that transformers into Rodimus Prime! Dreadwing and Darkwing! 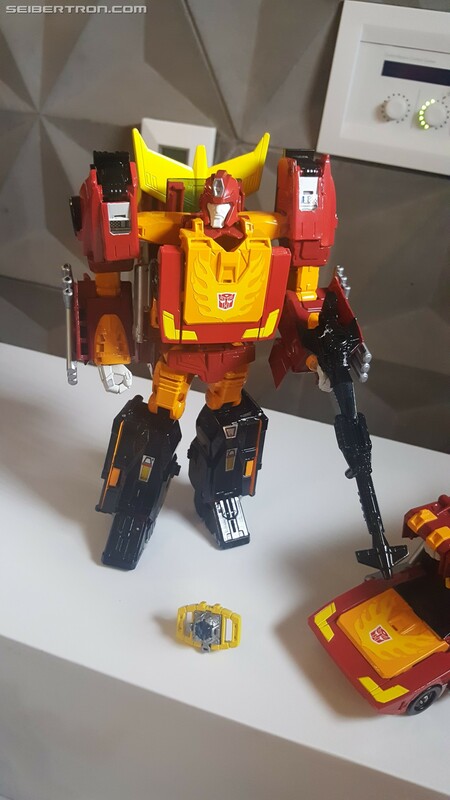 Rodimus Prime! Jazz! PRETENDERS!!!!!!! 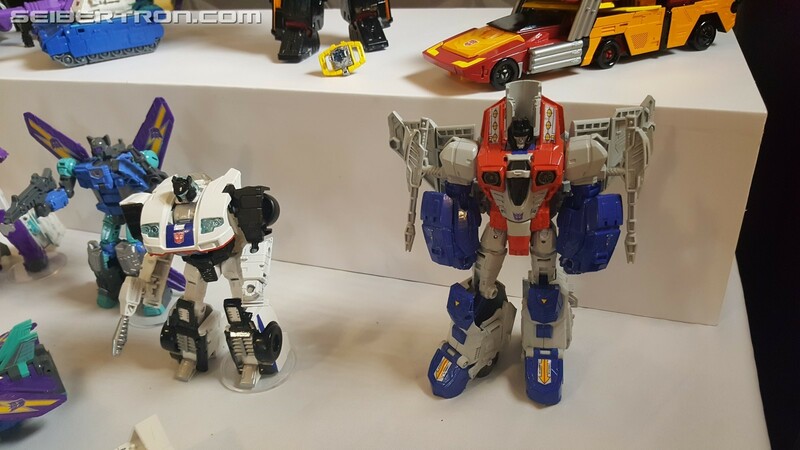 Beachcomber and Jazz look good, Rodimus Prime looks great, but what the heck is up with Starscream's arms?! The line's shaping up to be s good one! A nice mix of everything. 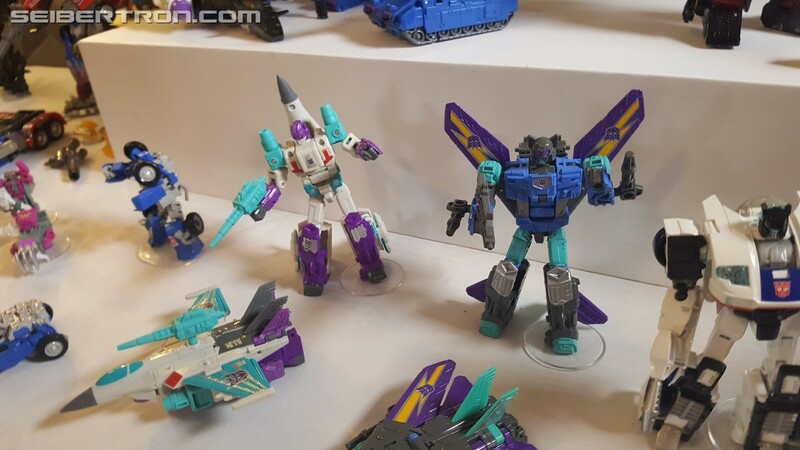 Jazz looks good and I'm glad we're getting a new deluxe Starscream. But what's up with his proportions? He looks a little weird. Maybe it's because of some new gimmick? Jazz also has a Combiner port and I'm pretty sure Starscream is combinable too. MrBlack wrote: but what the heck is up with Starscream's arms?! DestronMirage22 wrote: and I'm glad we're getting a new deluxe Starscream. But what's up with his proportions? He looks a little weird. Maybe it's because of some new gimmick? 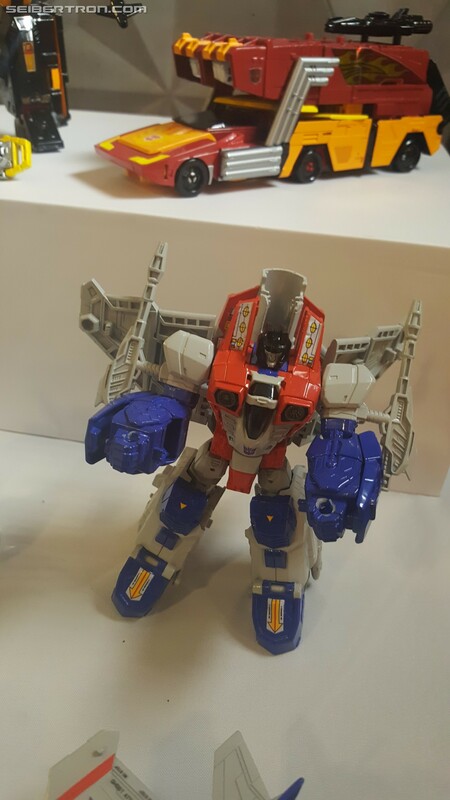 His robot mode (especially the shoulders) looks to be a heavily inspired by the robot mode design of his Leader class toy from 2015. Don't know if someone else already pointed this out, but Rodimus Prime has a "power up" gimmick that allows him to change between Hot Rod and Rodimus. In this pic I circled a detail in the torso that should be Hot Rod's hands in Rodimus torso! 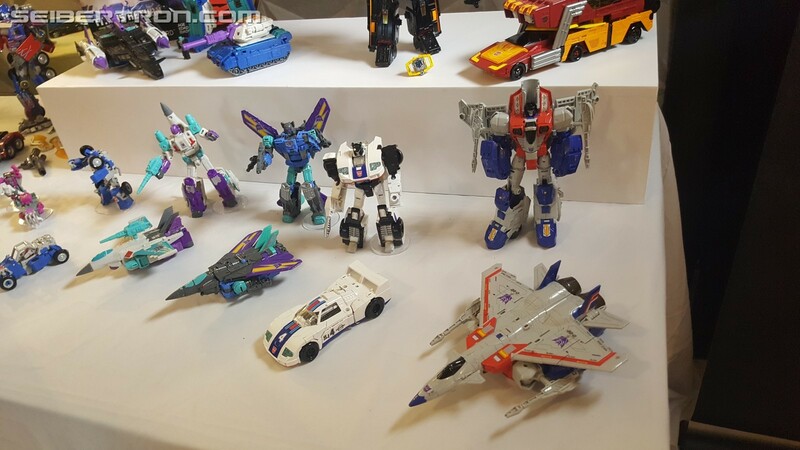 Wasn't expecting Dreadwind and Darkwing, especially not as Aerialbot retools. Hoping they can still combine in jet mode. 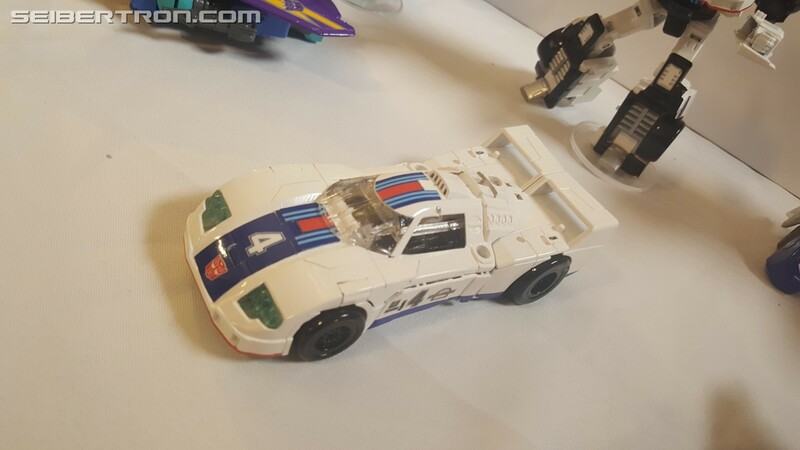 Jazz' car mode looks sweet, and I'm sure his robot mode would too in a less stupid pose. 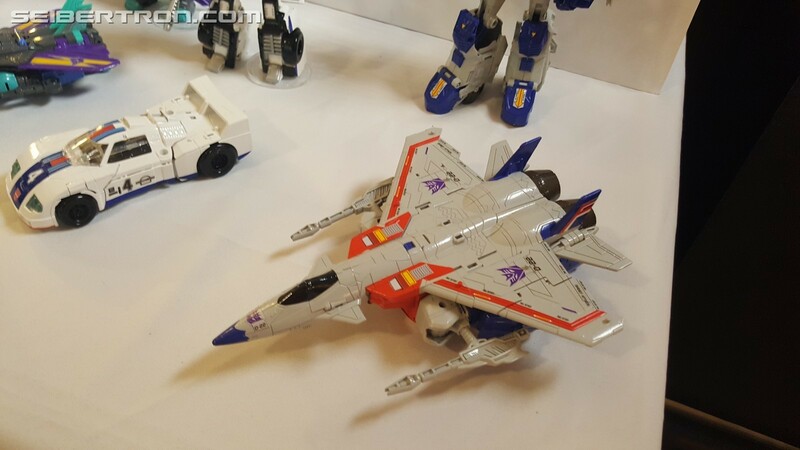 Starscream looks to be a voyager based on a beefier version of his IDW ongoing look from a few years back? 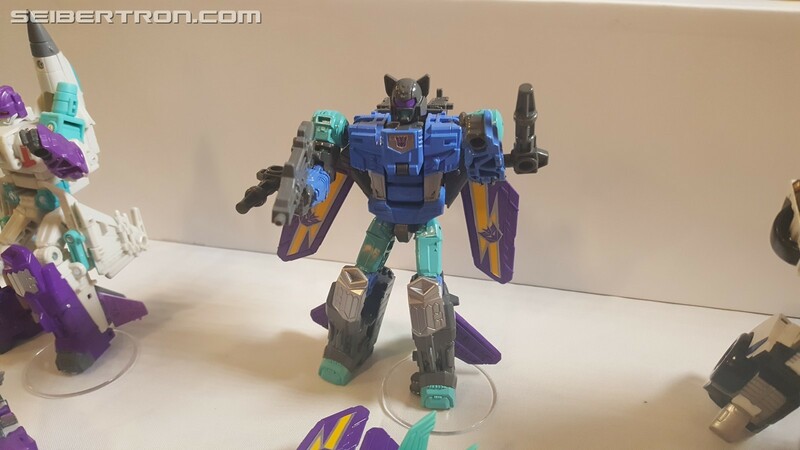 Leader Rodimus looks absolutely awesome, Beachcomber looks nice, and Skullgrin is confusing me with his no-face Titan Master. These new PotP figures have some interesting proportions. 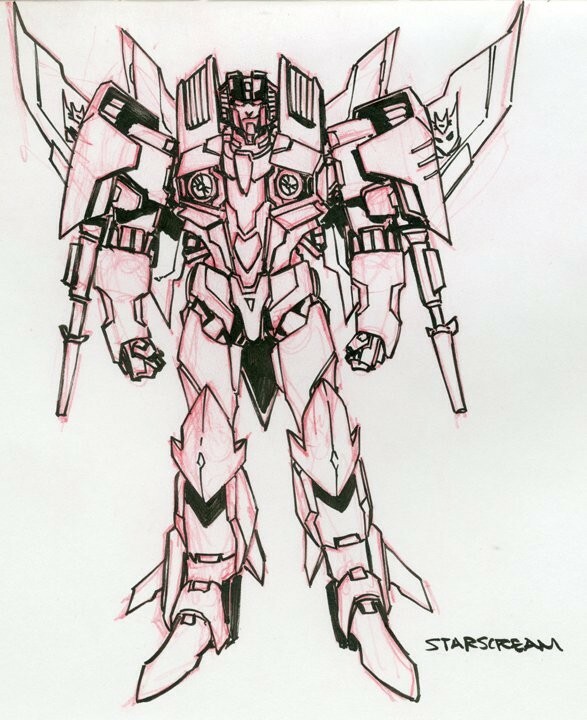 And to ruin it for more people, they remind of Dreamwave art, Starscream in particular. Seriously what's up with his legs and arms?! On a fairly IDWish design no less. 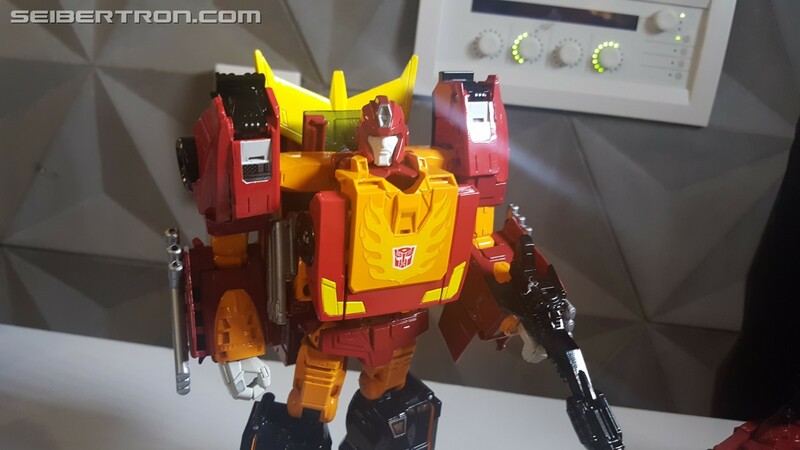 Rodimus Prime looks pretty nice though(if very G1), seems like he escaped Starscream and Jazz's puffy fate. 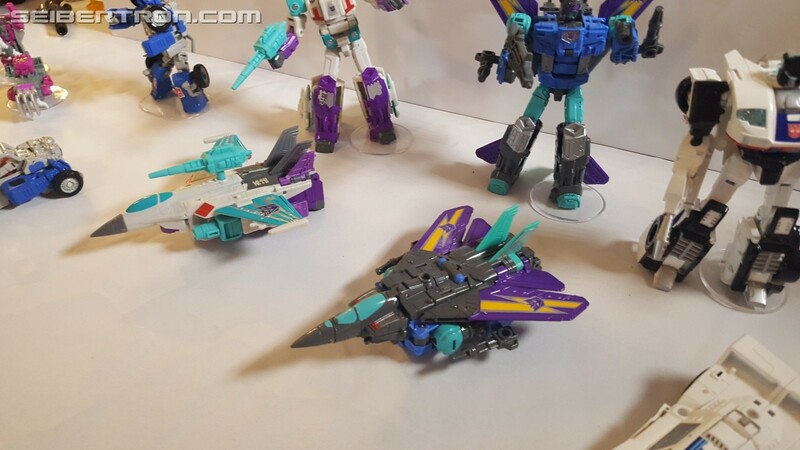 The Decepticon jets look pretty awesome, I wonder if the combiner ports are for the combined jet. (that was the thing they did right?) 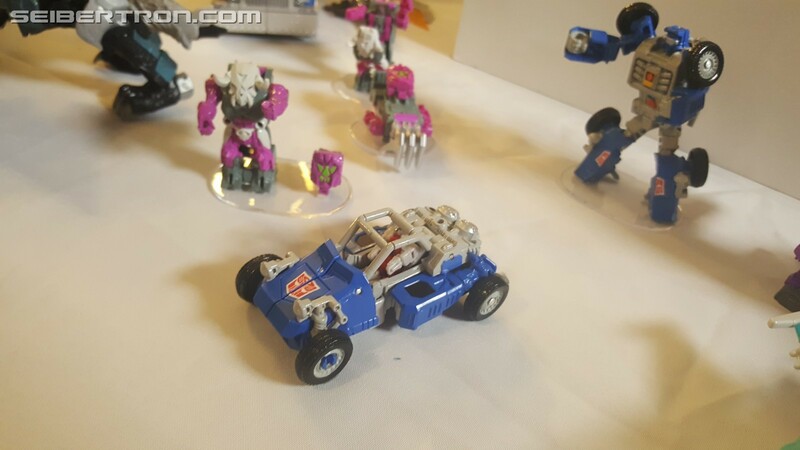 Beachcomber looks really cool too. Ugh so they're going through with the Pretenders. At least the idea is changed to not be as dumb as it was in G1. As it stands I'm a little worried about my enjoyment of the line but there are at least a few things that tickle my fancy. 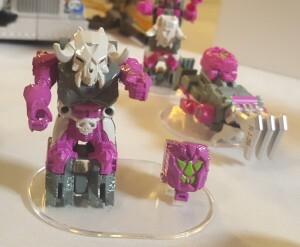 Sigma Magnus wrote: Skullgrin is confusing me with his no-face Titan Master. Thats because its a power master acting as an engine of some kind. but they made it compatible for fans to do whatever they want. 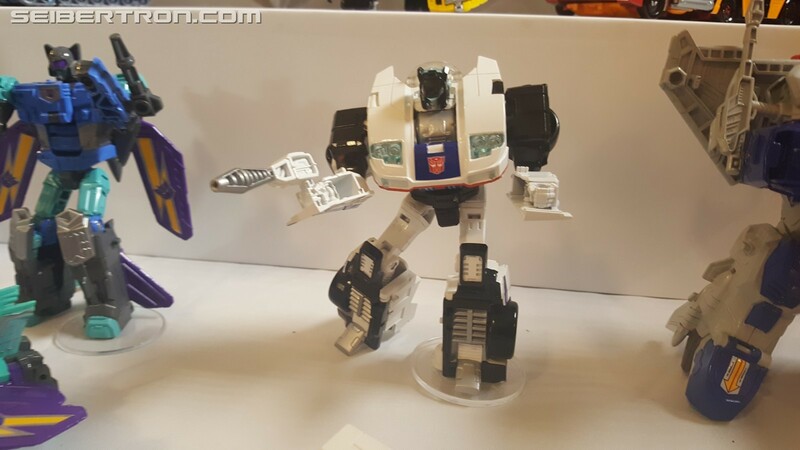 I dont think Jazz has a combiner port, more like he is based on previous combiner wars designs like Chromedome was. Sabrblade wrote: His robot mode (especially the shoulders) looks to be a heavily inspired by the robot mode design of his Leader class toy from 2015. The shoulders yes. He also takes design 9or vice versa) from the new Alex Milne design he just posted. I think that starscream is gimick filled because he is very simplistic. He looks like a toy from the early 90s. MadProject wrote: Don't know if someone else already pointed this out, but Rodimus Prime has a "power up" gimmick that allows him to change between Hot Rod and Rodimus. 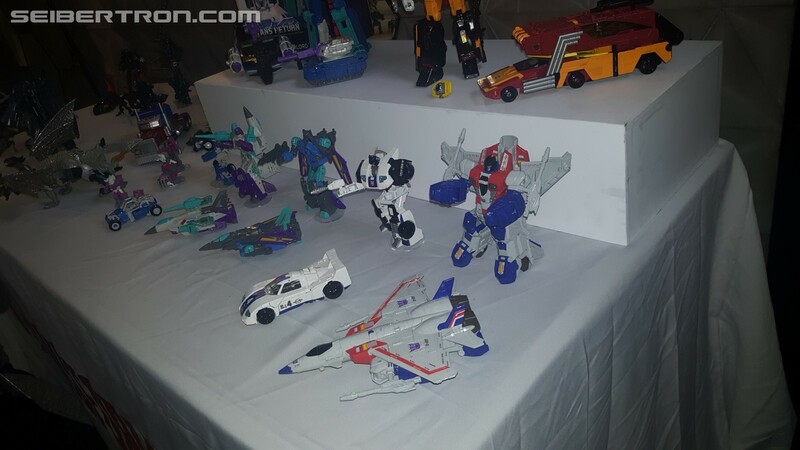 If that Starscream is indeed a Voyager, and his arms kinda look like they'd house combining ports, does this mean we could get a Starscream combiner??? 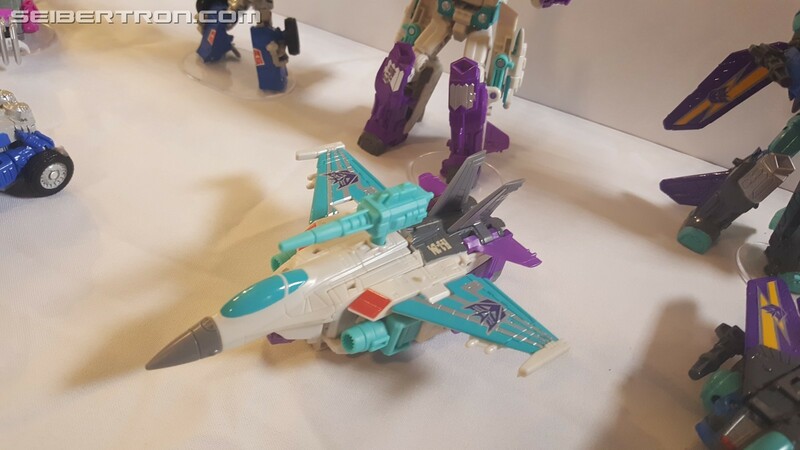 If you check the pics, I can confirm that Jazz has a combiner port! You can see the rounded piece of the joint below the neck, hidden by the hood. Roddy's looking pretty cool. Now you know I have to have it for the ever growing Rod display. 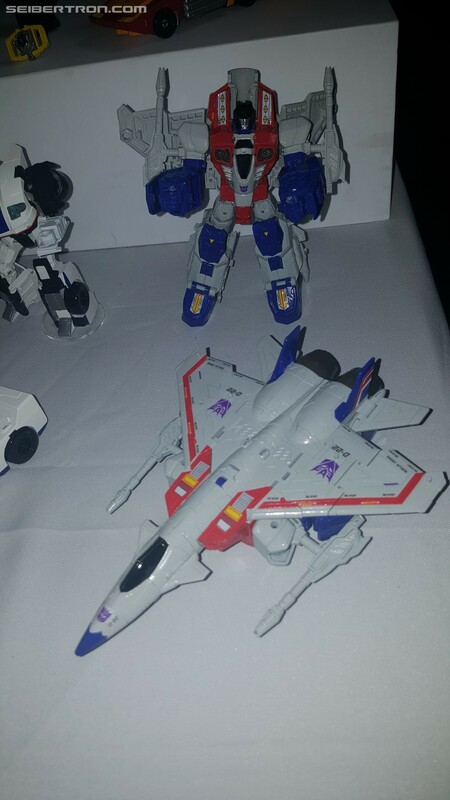 Now that Starscream is transformed properly it appears he's voyager sized. That should make people happy. Fixes the legs but not those boxing gloves. 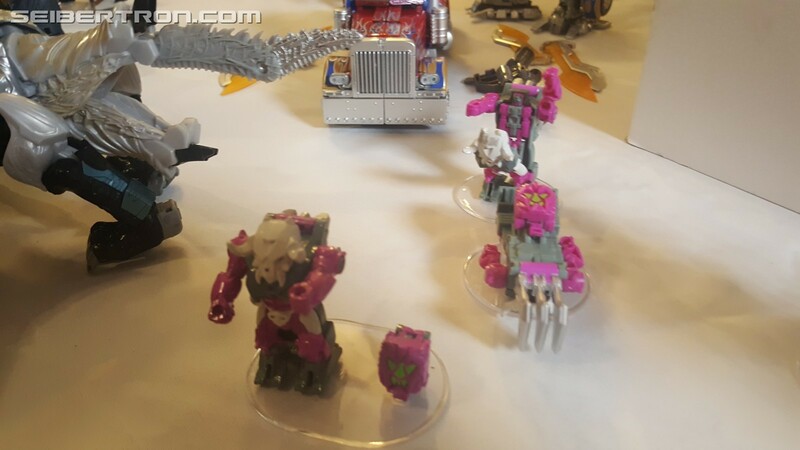 My guess is that the no-face Titan master thing is because (based on the images) it is supposed to be part of the transformed mode of the Pretender shell. Interesting about Rodimus. Smaller bots can power up into bigger ones. So this is how they do larger scale "pretenders" as well. 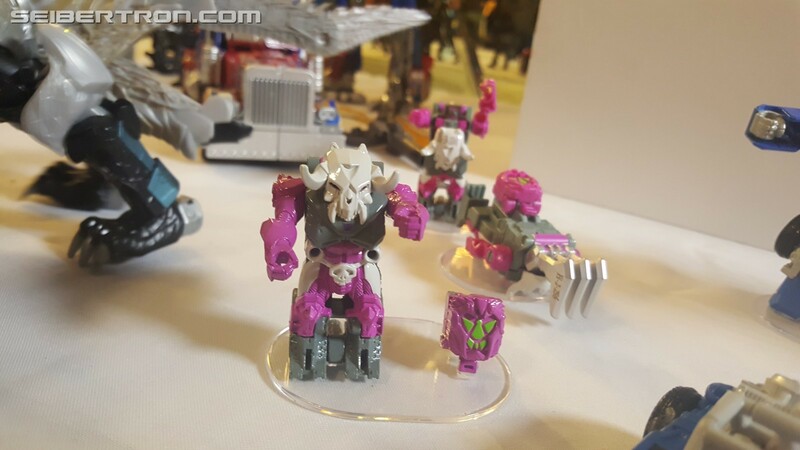 Wonder how or if the Pretender class will integrate into the larger toys. can we also take a moment to discuss about the fact that you can use the Matrix as Titan Master? Man, for a second there I was sooooooo excited for Dreadwind and Darkwing. Two of my favorite toys as a kid. Hard to get now for a decent price. New ones would work! But....they're kinda crap. 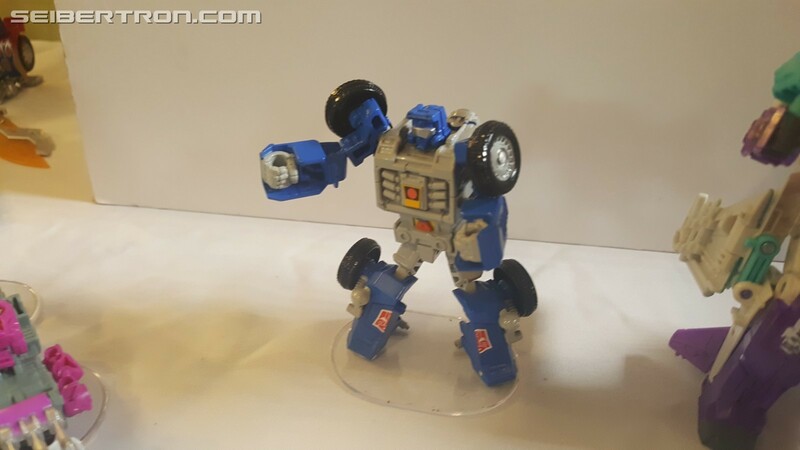 Sorta like Beachcomber though. One of my fave minibots. 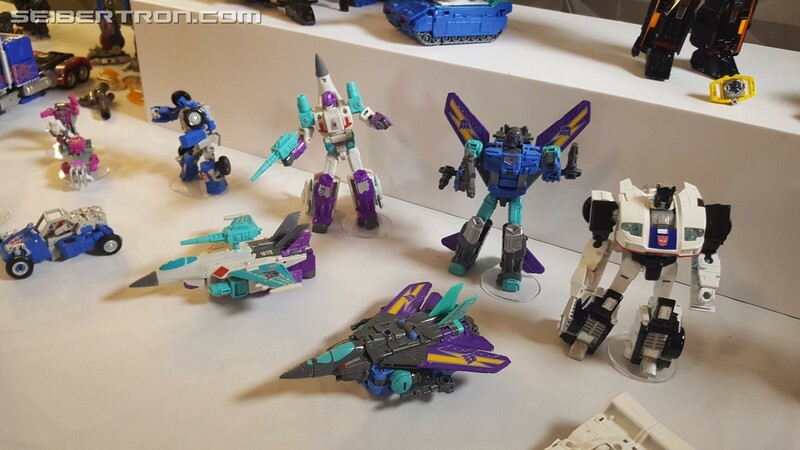 Nice to see Darking and Dreadwind back but those toys look a bit feeble. 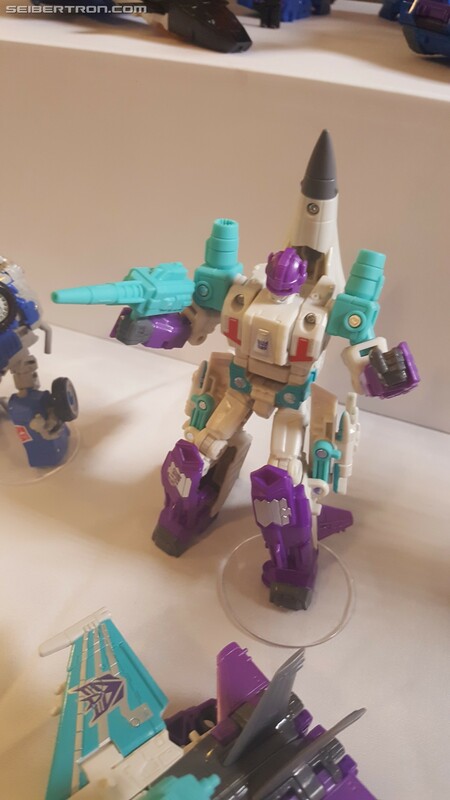 Jazz doesn't look anywhere near as nice as the RTS figure. Starscream doesn't interest me. Nor Beachcomber. Rodimus Prime. Not sure about the vehicle but the robot looks VERY nice. Almost third party-like. He's going on my list. 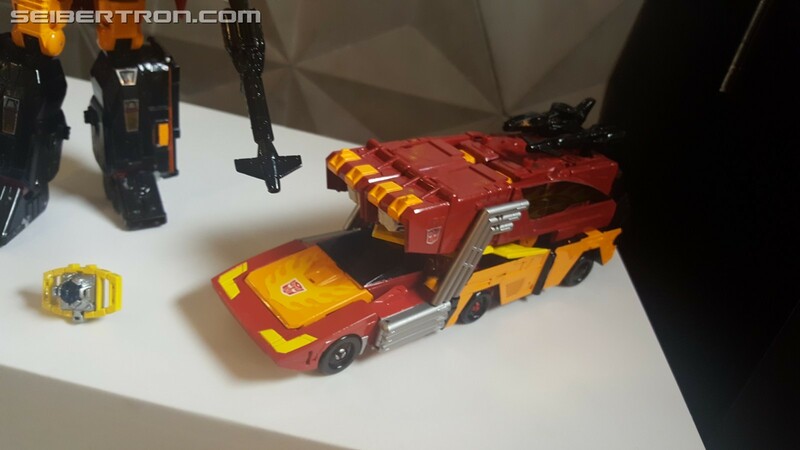 Probably skip Takara Legends Hot Rod now. 6,889 pages were recently viewed by 444 unique visitors. This page was viewed 1 times on Wednesday, April 24th 2019 2:49am CDT. © 2019 Seibertron, Inc. DBA Seibertron.com. All Rights Reserved. Established June 2000. Seibertron.com is owned by Ryan Yzquierdo.